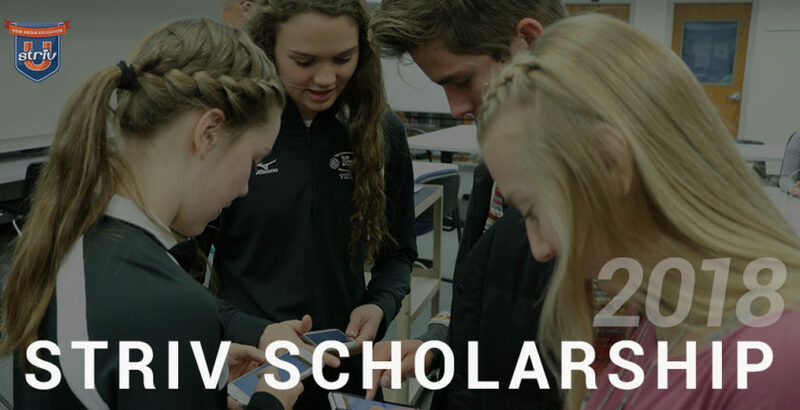 We are so excited to announce our 2018 Striv Scholarship! Are you a Striv student or a senior who is interested in a media-related field after high school? If you answered yes, then we encourage you to apply for our 2018 Striv Scholarship! We will award one student a scholarship of $500 OR split for two awardees at $250 each! Deadline = May 1st! Will Morris of Millard West and Shailee Hayek of Elmwood-Murdock are Striv’s previous scholarship recipients. They are pursuing degrees in the field of Marketing, Communication, Journalism and Sports Broadcasting. After one semester, Will had this to share, “I’m involved with the student radio station a little bit, but I’ll be doing more for them this semester. I’m also trying to get involved with the Mizzou Athletic Department and the SEC Network, so I’d be working some of those games and getting that experience, which is pretty exciting to me!” We are very proud of our previous awardees and enjoy keeping in contact with them as they use their talents in college. We can’t wait to see your submissions – Once again, submit your application before May 1st! If you have any questions, contact sara@striv.tv for further assistance.